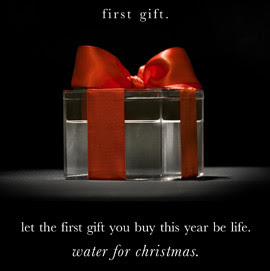 As I was doing my daily check of all my favorite blogs, I was inundated by posts about the First Gift Campaign. Instead of doing my own post about this cause, I figured I'd link you to my fellow bloggers who can share the message so much better than I can. Will you make this your first gift this Christmas? I did! My donation gave 4 people water for 10 years!